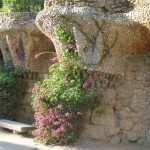 Park Güell is a great park for those wanting to spend some hours in a peaceful, yet stunning environment. 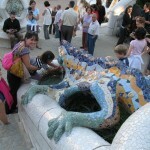 The park was designed by Antoni Gaudi between 1900 and 1914 and is also part of the „Works of Antoni Gaudi” World Heritage Sites. Before Park Güell opened, the area was an unsuccesful housing site. Mr. Güell then got the idea to turn the area into a park, and that is why the park has been named after him. 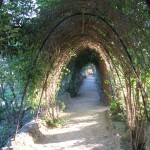 The area was rocky and without to much trees and flowers, yet today it is a wonderful garden and an attraction to fall in love with while in Barcelona. 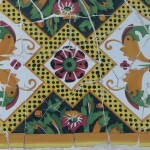 Inside the park you can find sculptures, mosaic, cool design – all free. 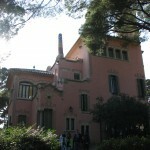 The only attraction requiring admission fee within Park Güell is Gaudis house, La Torre Rosa. Inside Gaudi’s house you can see furniture designed by Antoni Gaudi.